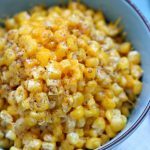 Slow Cooker Cheesy Creamed Corn: an easy slow cooker recipe for a indulgent, cheesy and creamy corn dish that is perfect for a special holiday meal. How did your Thanksgiving go? I hope it was amazing. I wanted to post this recipe before the holiday but it just didn’t happen. No worries though, you can make this amazing slow cooker cheesy creamed corn for your special Christmas Eve or Christmas dinner or for any other special meal. It’s super easy to toss all the ingredients into your slow cooker and focus on other holiday cooking and baking while your slow cooker does all the work. 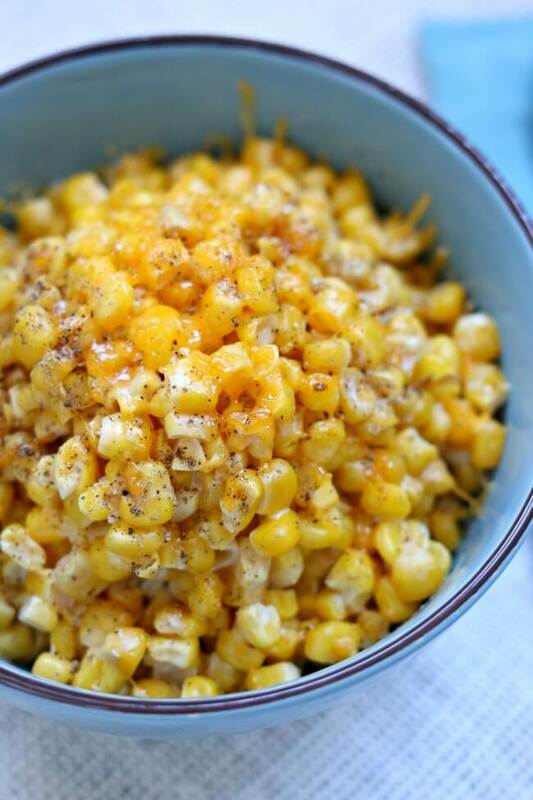 I like to use frozen corn for this recipe (and most any recipe that calls for corn) because it just seems sweeter and fresher than canned corn. But if you have canned corn you can use that too. Just drain it and rinse it beforehand. Corn Rice Salsa Chicken Soup–my favorite taco soup! 15 Bean Corn and Avocado Salsa–a perfect potluck recipe! Mexican Corn Chowder–uses fresh corn on the cob! 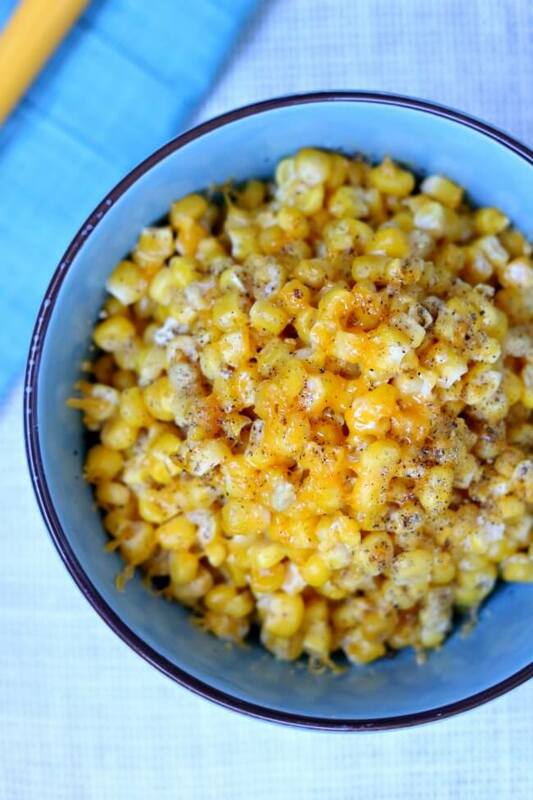 Pepper Jack Mac with Green Chiles and Corn–mac and cheese never tasted so good! For this recipe I used my 3 quart Hamilton Beach Slow Cooker. I love this little slow cooker for side dishes or smaller family meals. It’s super inexpensive and seems to cook slower than some crockpots I’ve used. 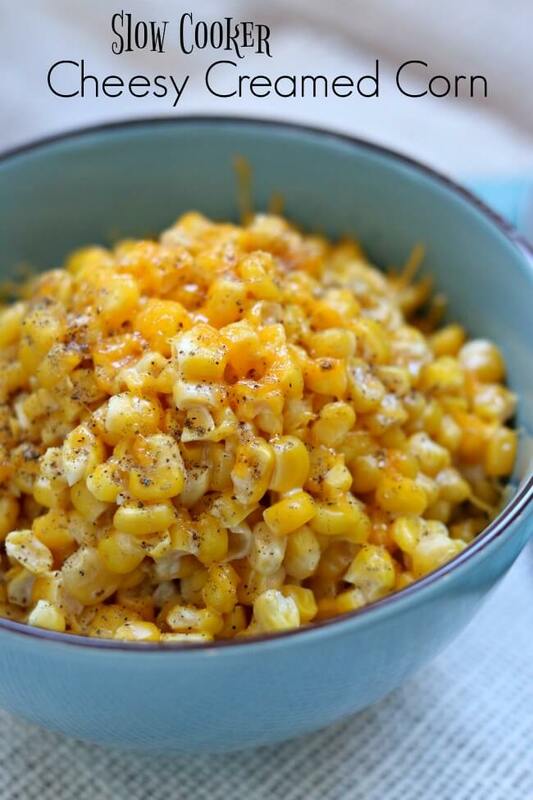 An easy slow cooker recipe for a indulgent, cheesy and creamy corn dish that is perfect for a special holiday meal. Combine corn, cream cheese, butter, milk and sugar in slow cooker. Stir a little. Cover the slow cooker and cook on low for 4 hours or on high for 2 hours, or until cream cheese is melted and corn is heated through. Stir gently and add in salt and pepper to taste. Stir in the grated cheddar.